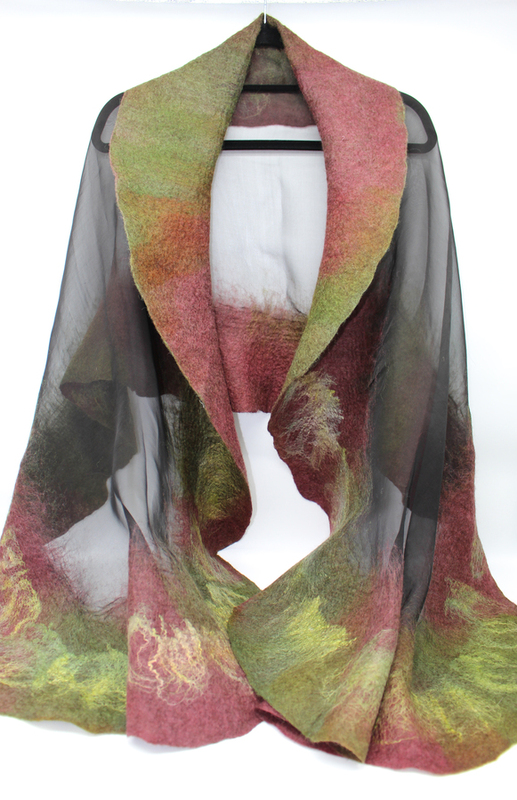 Hand felted Nuno Silk Wrap. 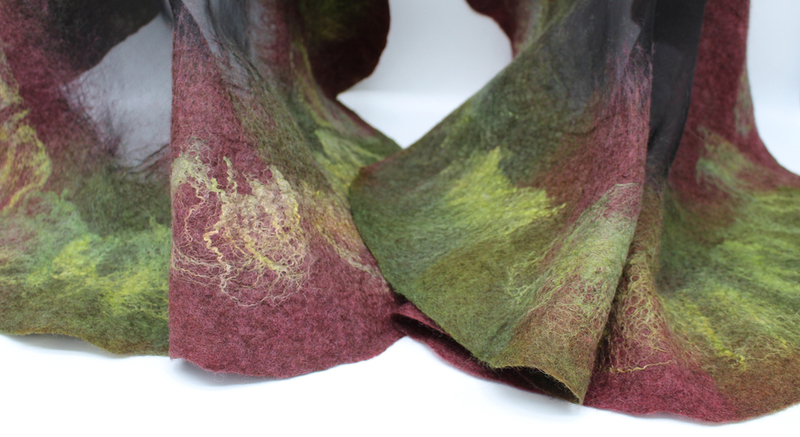 Hand dyed wool & silk fibres in burgundy and green with silk organza fabric. A lovely floaty wrap. Size 184cm x 66cm. Can be hand washed gently in cool water and spun dry.